This statistic represents the total weight of U.S. shipments between 2012 and 2045. 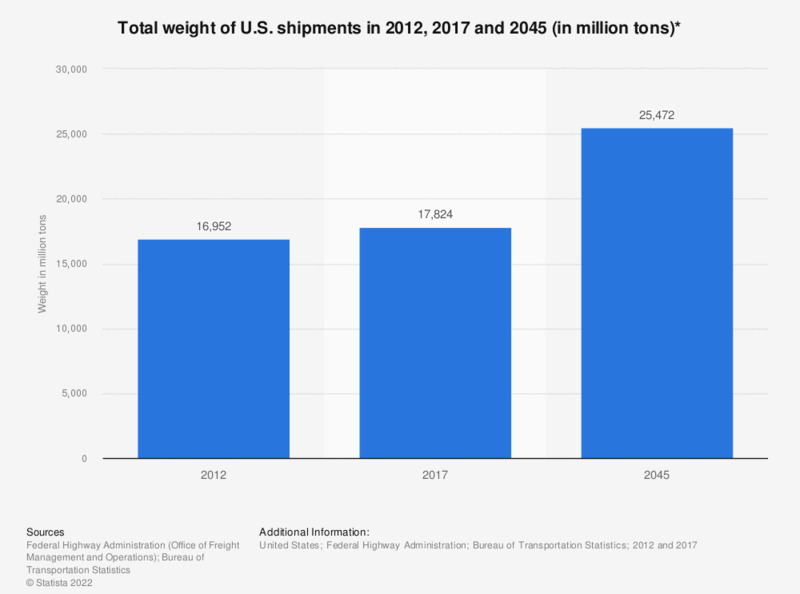 In 2015, the weight of domestic shipments as well as exports and imports that were transported within the United States was just under 18 billion tons. * Domestic shipments, exports, and imports. Transportation modes: Truck, rail, water, air, air & truck, multiple modes & mail, pipeline, other, and unknown. *** The 2015 data are provisional estimates, which are based on selected modal and economic trend data.